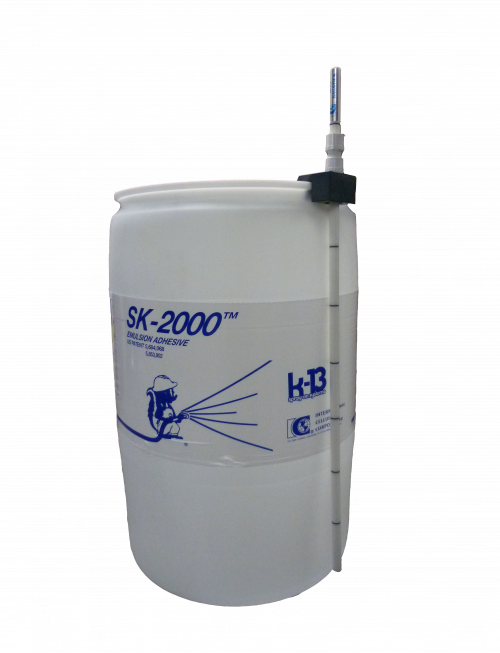 The SK-2000 ADHESIVE is part of a multi-component system designed to chemically react with the K-13 product to provide improved performance. The SK-2000 ADHESIVE is used with K-13 in gray, light gray, white, beige, dark brown and light brown colors only. It is possible to add an additive for use with the black K-13.